The Popcorn chair provides surrounding comfort. There is an infinite selection of fabric and leather. 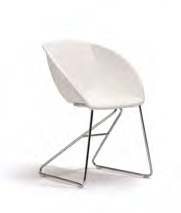 The shell comes in dark grey or white plastic, chrome base, plastic or felt gliders, and is stackable in groups of 5 without cushions and in groups of 3 with cushions. 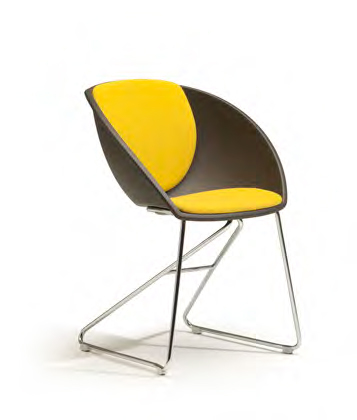 The Popcorn chair will enhance and provide functionality in any library, dining area, meeting room, waiting room or reception area.